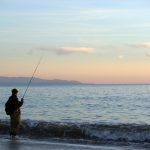 Jetty fishing and pier fishing has always been popular amongst fishos for its versatility. When the winds are picking up and the sun is gone, land-based alternatives need to be found. For dedicated fishos who aren’t put off by a little bad weather, this can mean heading for the jetty or pier. 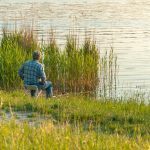 If you have a budding young fisho in the family jetty and pier fishing is a good introduction, as they are pretty contained, allowing you to keep a better eye on them. The abundance of fish hiding around the structures make it an accessible fishing sport for young fishos to take their first catch. Plenty of smaller species use the protection the structures offer to hide from predators and raise their young in the relative safety of the shallow waters. 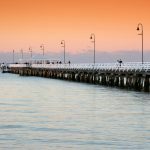 Bream, Whiting, Flathead, Moses Perch, Herring, Mullet, Trevally, Butter Bream, Sharks and Catfish can all be found hiding in the waters around pier and jetty structures. As a youngster, fishing with hand lines off the Jacobs Well pier in Queensland was the way to start. The back to basics approach to fishing was fine for pier fishing. I caught heaps of fish and honed my passion for the sport. I took Herring and Hardy Heads, then used them as bait fish for Bream and Flathead. I spent hours every summer sat at the pier and saw some people taking Tuna and small sharks on heavy hand lines. It goes to show, you don’t need special rods and reels to take in impressive catches, just the know-how and determination to win the battle. 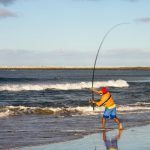 I have heard plenty of Aussie fishos bickering about what rod is the best for pier and jetty fishing. Everyone thinks their way is the best way. But there isn’t a right or wrong answer. Different rods work better at different times. A 2-4 or 3-6kg graphite or fibreglass rod will do the trick. I use fibreglass just because my little one has a habit of dropping things, and the fibreglass models tend to hold up better when being manhandled by children’s paws. 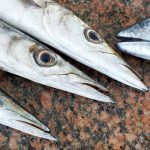 They are slightly heavier than their graphite counterparts, but this is okay when jetty or pier fishing because you can lean it against the railings. I also use a slightly longer stick. A 7ft rod allows me to manoeuvre the fish around the supports and structures, but my little one uses a 4ft kids rod and reel combo and seems to pull them in just fine so I wouldn’t say the length of the stick is of the utmost importance. Bring some extra wire or cord to secure your child’s rod to the pier though. I have had a couple of reel and glass rod combos end up in the drink after my daughter put her rod down and an opportunistic fish took the chance to strike and pull the combo over the railing to the watery depths. I use a 4-10lb braid or 12-15lb mono for most fishing applications and don’t usually change it for the jetty and pier application. This should be appropriate for most jetty species. I don’t target shark because they are tough to bring over the rails (and my daughter is still quite scared of them). A 1000-2500 series spinning reel should meet your jetty requirements. When choosing between braid or mono for jetty and pier fishing, both have their merits. Braid lines give a longer cast and cut through moving water easily, keeping the bait in place. 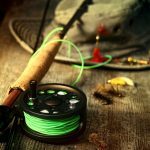 But on the other hand, I’ve found mono lines can handle a lot more abrasion and deal with the tough saltwater conditions of jetty fishing better than their braid counterparts. Also, when I’m out with my children, the knots they inevitably create are much more easily removed from mono lines than from braid lines. Once they knot, they knot for life. Is there any other tips or advice you would like to add to this article? Share your experience through the comments section below.